As a player in Online Casinos, you should consider strategies to keep an eye on the cost of gambling. Sometimes you have to pay for different providers of different Online Bank accounts and then loses fast the Overview of the playful or money invested. A good Option to have an Overview of the transactions, are separate Bank accounts with VISA or MasterCard cards, you must first transfer money in the Following, I would like to introduce some of the providers. When you play in Online Casinos, the question arises again and again, how best to get an overview of their sales. Sometimes you pay via PayPal, Trustly and Sofortüberweisung from different bank accounts, so you lose the overview quickly. Also, there is always the risk that you will rip all the money, what is on the account. From our point of view, a good cost control is debit card, that is a direct debit card, which you have to charge beforehand and where you can only play as much money as you have charged. In contrast to credit cards, there is no Limit on debit cards, which are debited at the end of the month as a total amount, or perhaps even in instalments as a credit. You can only play the money, which you have previously transferred to the bank account for the debit card. However, you can’t use the normal German current account cards to Deposit at most Casinos, since they only allow Deposit via VISA or Mastercard, and CVV Code is required. This Code is missing from the standard Maerstro cards that you get in Germany. 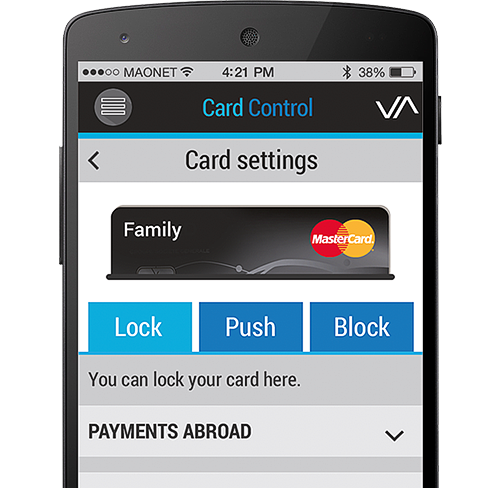 Matthias has tested the System from VISA and MasterCard/Maestro debit cards for several months and quite a good experience. Ultimately, he has such a fixed Limit, what he can play and before he loads even more money to the bank account of the Debit VISA card, there is a short “realization phase”, which has prevented him so far from exceeding the Limit. Thus, the use of debit cards can lead to more control when playing and control over the turnover in Online Casino. 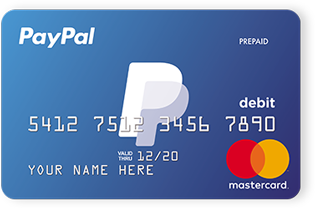 Since I have only had little experience with deposits of extra accounts via debit cards, but the idea is very good find, I’ve looked at a few reasonable suppliers of VISA/Mastercard debit cards, and would like to introduce you to. The background is simple, that I deposit at many Online Casinos from two different bank accounts and additionally via a credit card and I now lose the overview. Ultimately, VISA and MasterCard are accepted by all Online Casinos, so you should be able to deposit with each gambling provider with the debit cards of the two providers. If you buy the debit cards from foreign banks, you can even bypass the Payment Blocking measures (if this very unlikely event should occur at some point). Ultimately, you only send funds from a German Bank to a foreign bank account, which belongs to you and you cannot ban state. What you then do with the money and where to deposit is not comprehensible at least for the German authorities. Since it is a debit card, you should not be suspected as credit cards in the Schufa er. Which providers of Debit VISA or Mastercard/Maestro cards are available? Since the selection of current accounts with debit card is relatively large, I first asked within the GambleJoe team which providers can be recommended. Daniel uses, for example, LeoPay, Matthias has had good experiences with bunq and Revolut. In the following I would like to briefly introduce the individual providers once and then give a short comparison. LeoPay is operated by the London LeuPay Limited. If you log on there you get a free account and two VISA debit cards for this account. Account opening, account management, deposit via bank transfer and any form of Online payments are possible free of charge. SEPA credit transfers or foreign currency transfers and withdrawals to ATMs then incur fees, which is not surprising with a free account. The exact fee schedule can be found on the website of LeoPay. Overall, the payment service provider makes a very good impression, fees and services are transparent. When registering I noticed that you have his tax number (which is also mistakenly referred to as VAT.- ID-no.) must have at Hand. In addition, you must download the Lepay App for identification verification and conduct a 5-minute phone Interview with an employee. Once you have completed this, you should be able to use the Online account and order the debit cards after 20 minutes (sometimes it can take up to 8 hours). is a payment service provider that relies entirely on its App. You should be able to transfer money easily and quickly via mobile phone. The company gives itself colorful, modern and App – the appearance reminds a little of Apple and their products. Bunq B. V. is based in Amsterdam, the Netherlands. It is therefore, a Dutch Bank. For free, they offer a checking account, which one could then use for example to deposit via some Online service providers. Debit cards are available only with Premium account. Here are monthly account management fees of 7.99€. The fee then includes 3 bank cards, whereby one can choose between MasterCard/Maestro debit cards and a credit card. The App also checks your identity when you open your bank account during registration. If you use the debit card, you can make 10 withdrawals for free, starting from 11. It will cost you 99 cents per booking process. The exact prices can be found in a PDF document by bunq. If you have a credit card with the DKB, it is relatively moderate prices. In addition, the payment service provider does not charge gambling fees, as has been known in the past by some banks (such as the DKB). Matthias always likes to stress that you get a Link from the provider, through which friends can send you quickly and easily money. For him a real positive point, which speaks for the ease of use at bunq. Revolut Limited is a London-based financial company and also relies entirely on a Bank App. With Revolut you get a free checking account and a MasterCard with which you can withdraw 200€ a month of cash. For the receipt of the debit card you have to pay once a delivery fee of 4.99 pounds (which roughly corresponds to the shipping cost). Otherwise, there are no fees for Online transactions as long as they are made in pounds or euros. However, Turbo Transfers and foreign currency transfers are subject to relatively high fees. Not everyone has problems with the turnover overview for gambling, yet we would like to recommend extra bank accounts with debit card to all, who can not restrain themselves and often play too much. If you first have to transfer money to a separate account to play, it can represent an additional threshold. So you can set a personal Limit at the beginning of the month, maybe pay 150€ to the bank account and then play with it in the various Casinos. Surely you can still play possible winnings, if you can not limit yourself and the profits are not transferred to the Standard current account, but the Chance, that you gamble more money, than you actually wanted to afford, is reduced overall. These are only suggestions for bank accounts with Visa or MasterCard debit cards from us. We only want to introduce various banks with which we have already had good experiences. Please see the article as advertising, and, ultimately, we have no contracts with LeoPay, bunq or Revolut. Matthias and Daniel use the financial institutions only personally for several months and are so far extremely satisfied with it.